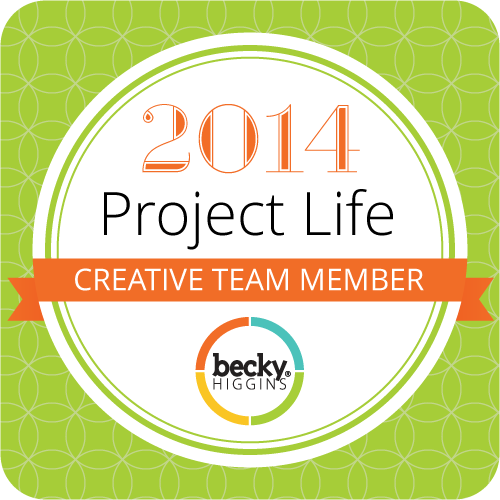 Project Life Title Page 2014 – It Works For Bobbi! Published on January 8, 2014 August 9, 2016 by Bobbi-Jo G.
In record time, I finished the title page for my 2014 Project Life album! 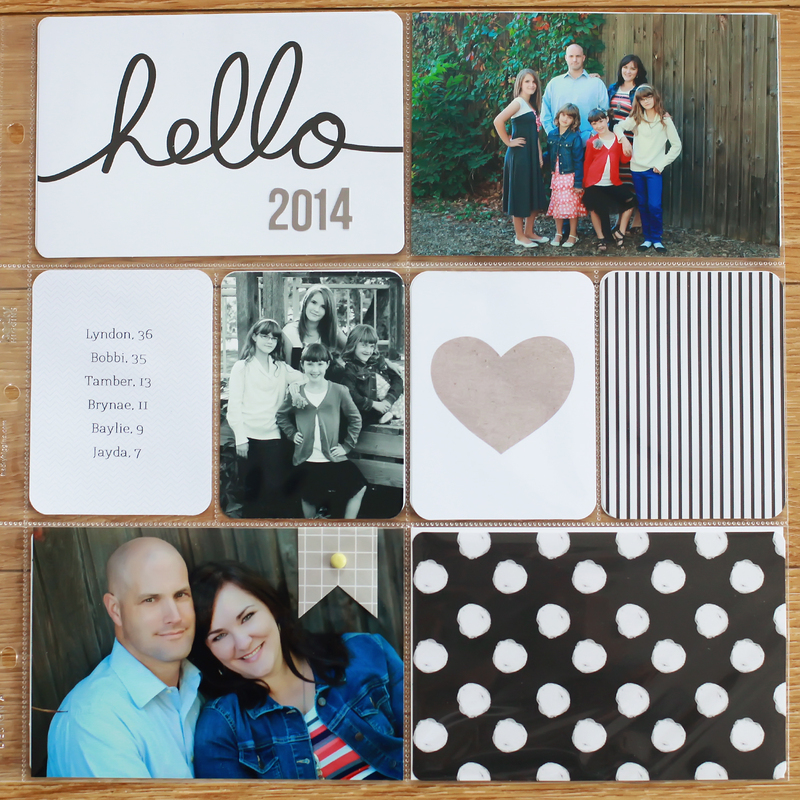 I am using the Midnight Edition, this year – I’m so in love with the neutral tones and fun patterns. 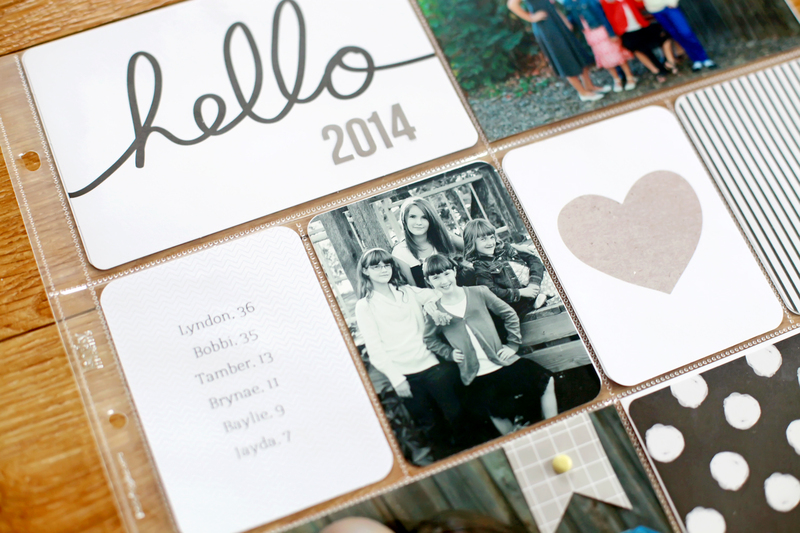 I used photos from our family photo shoot in the fall, added in the cards, typed up our names and ages using the “ST Marie Thin” font and printed it out on one of the 3X4 cards to personalize it a bit, and added in the “2014” using letter stickers from the “Sn@p” collection. Done! Oh, and I cut a piece from a card from the Seafoam edition (that I printed out using the digital version of the kit) into a little pennant and added a little yellow brad that I had in my stash – just to add a bit of interest. As you’ll find, I like keeping my pages simple. Simple = DONE! I can’t wait to share more of this album (and others) as it comes together! It’s going to be a fabulous year! Previous Start of a New Year of a Photo A Day! Next Project Life- Goals layout! Hi Bobbi-Jo, love your page. I too am keeping my pages clean and simple…. I have to. I love that PL is so simple to use. Happy New Year. What a lovely title page, i look forward to seeing more, i'm so intrigued by Project Life, i think it may have to be something that happens in my future.